April's luncheon topic will be transportation. 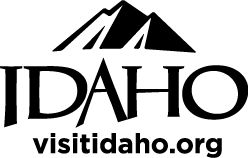 Speakers will include Tony Bean, Executive Director Pullman-Moscow Airport, and Ken Helm, Idaho Transportation Department. We would like to thank Washington Trust Bank for sponsoring our April luncheon. Sponsorship opportunities are available to allow agencies to showcase their business to Chamber members and the community. For more information about sponsorship opportunities please contact membership@moscowchamber.com. RSVP by Friday, April 12th at 208-882-1800 or membership@moscowchamber.com.